Middle East Perspectives by Rick Francona: Refresh my memory - why are we talking to the Iranians? Refresh my memory - why are we talking to the Iranians? That would be in addition to the complaints that I am obsessed with Iran (I am). I am reading the headlines from the Middle East, as I do everyday, and am getting mixed signals about the upcoming talks in Istanbul between Iran on one side and six of the world's leading powers on the other. Those six countries represent the five permanent members of the United Nations Security Council (China, France, Russia, United Kingdom and United States) plus Germany, the so-called P5+1. I thought the purpose of the meeting hosted by Turkey, a (nominal) NATO ally, is to discuss the Iranian nuclear program, specifically Iran's refusal to halt its uranium enrichment until questions about its program are resolved. I got the impression that the nuclear program is to be the focus of the talks from what apparently is a misleading Turkish media reports that the country's foreign minister was busy preparing for the upcoming "nuclear talks" in Istanbul. The Turkish foreign minister met with Ali Bagheri, the deputy to Iran's chief nuclear negotiator, at the same time that Iran's Atomic Energy Organization chief Dr. Ali Akbar Salehi stated that Iran will not discuss the nuclear program at the upcoming talks. 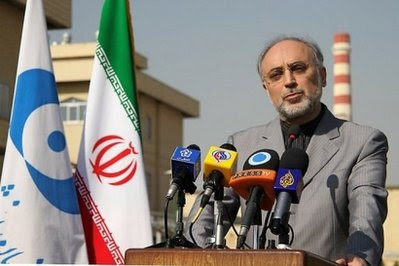 Salehi's words: "We will absolutely not recognize the negotiation if the other side wants to negotiate on the issue of the nuclear dossier. The technical and legal aspects of any country's nuclear issues can be discussed only with the International Atomic Energy Agency and the agency, based on international rules and regulations, is the only authority to judge the member states' issues. 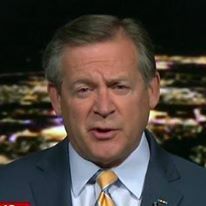 If we consider this as the principle...then discussing the issue, named (Iran) nuclear issue, from our point of view is a dossier fabricated by the West and discussing it with the five-plus-one about this is meaningless." Of course, Salehi, who is likely to be named as Iran's new foreign minister, is only executing the policy articulated by Iranian President Mahmoud Ahmadinejad, who maintains that the nuclear issue is a "closed file." If the nuclear issue is in fact not to be discussed, then why are meeting with the Iranians? What else is there to discuss? While the Iranian regime attempts to appear rational and reasonable by agreeing to endless talks, they are steadily amassing the fissile material required for the development of nuclear weapons. Rather than allow the Iranians to continue this kabuki dance and the facade of meaningful negotiations, we should refuse to meet unless the sole agenda item is the nuclear program. If the Iranians will not agree to that, then we should expose them for who they are, mere actors in a choreographed charade to buy time for their nuclear weapons program. We should not attend the performance.